Karen Waltermire paints portraits of women either alone or in groups and her interest in faces and figures is what inspires her to create paintings of women. She finds her inspiration in women’s emotions in a single point of time. Her goal is to replicate the movement and motion on still canvas from that point in time to make her figures stay alive. Her paintings interpret how women feel about themselves and the world around them. 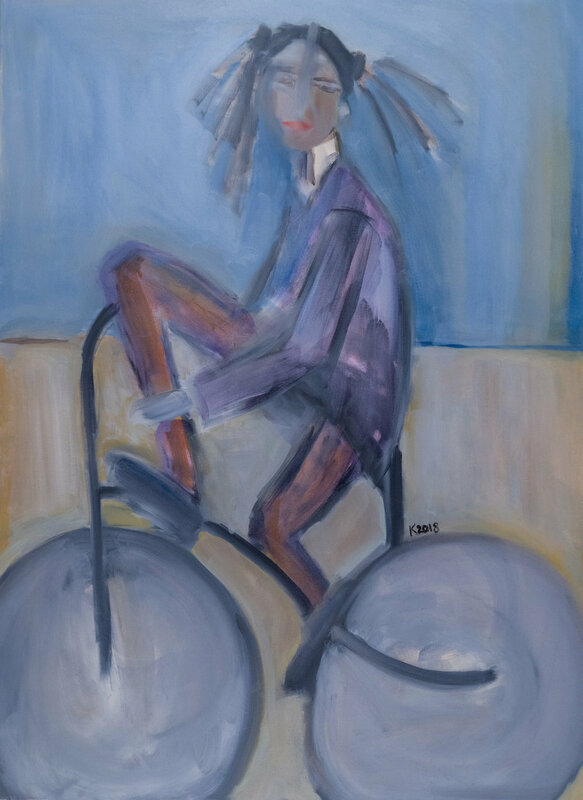 In each painting she finds harmony by submerging her figures into colorful backgrounds that keep her exploring and looking for new subjects and possibilities. As an artist Karen started painting on bottles and cans then moved toward canvas as her platform. Her choice of paint is oil which helps her work conjure mood and presence that stays in and with the viewer. She has the range to paint from extremely small pieces to large pieces. Karen Waltermire received a B.S. in Psychology from George Mason University and then studied art at Maryland Institute College of Art, Washington Studio School and the Art League in Alexandria, VA.